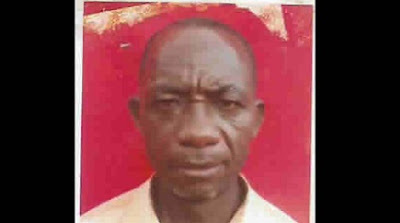 A serving head teacher, Mr. Cosmas Nwaiwu, has been reportedly killed by irate youths from Nneoche Umuoma Nzerem in Ehime Mbano Local Government Area of Imo State. Nwaiwu, 57, who was said to have been killed on Wednesday, November 29, 2017 was the Head Teacher of Obolo Primary School, Ehime Mbano. Punch correspondent on Monday gathered that Nwaiwu was murdered on the allegation that he was “diabolically diverting the destiny” of three members of his extended family. It was also gathered that a relation also accused him of being responsible for the death of her husband. Sequel to these accusations, the youths of the area allegedly mobilised one another and besieged his house, murdered Nwaiwu and then burned his body. Though Nwaiwu’s wife, Mary, could not talk when contacted on phone, a close family source told our correspondent that Nwaiwu was killed as result of envy by his relations who felt he had made progress in life ahead of them. When contacted on phone, the state Police Public Relations Officer, Mr. Andrew Enwerem, confirmed the incident.